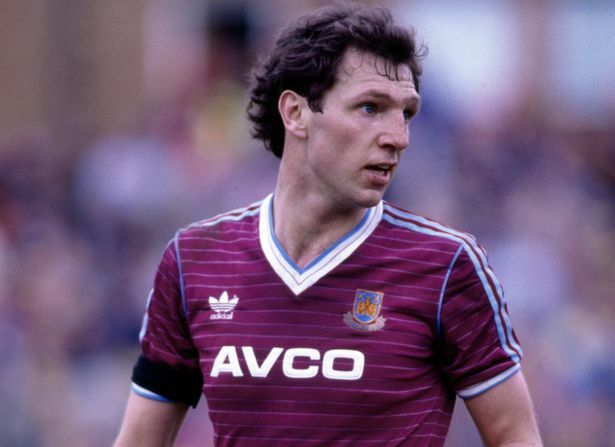 Thirty years ago today, West Ham United center back Alvin Martin bagged a rare hat-trick against Newcastle United and it wasn't simply because he was a defender. At Upton Park, on 21 April 1986, Newcastle keeper Martin Thomas walked onto the pitch nursing a sore shoulder but with the club's reserve keeper out of action the club had few options but to play Thomas. Martin grabbed the first goal of the day after only four minutes and by halftime, West Ham had grabbed three more to build themselves up a resounding 4-0 lead. The clearly ailing Thomas was replaced at the half by midfielder Chris Hedworth for the second half and Martin put his second past him. Unbelievably, Hedworth went down with a damaged collar bone in the 75th minute and he himself was replaced by Peter Beardsley. The England forward didn't do very well between the sticks either, as he surrendered another three goals to see out a terrible 8-1 thrashing. Martin scored the final goal of the day, completing a unique hat-trick against three different keepers. One of the more unusual hat-tricks in football history. Such a strange series of events led to it as well. It's hard to see this repeating.